Samsung is the greatest smartphone manufacturer in the world with the biggest line of devices in its portfolio. My first Android phone, the Galaxy S, was a Samsung device and there has hardly been a Samsung flagship (except the Note 4) since then that I have not owned. Starting as a Samsung fan, I later began to hate it for the horrible TouchWiz interface and the plastic build. For many people, there might be some reasons to hate Samsung, but there are many reasons to love the Galaxy devices. It’s always easy to find a Samsung firmware and install it using a simple tool called Odin. Being popular, Samsung devices attract a lot of custom development activities. If you own a Samsung Galaxy smartphone or tablet, you might have installed stocked firmware a number of times, or at least once. In many cases, people tend to flash official firmware when new OS updates are released and their devices do not get them instantly. Sometimes we use Odin to restore our device to stock and sometimes to fix some issues. Installing the stock firmware goes successfully in most cases but sometimes the procedure ends up in a bootloop with your device stuck at the Samsung logo animation playing endlessly. Even if you do not encounter a bootloop after installing a firmware, you might face issues like device overheating, battery drain, slow performance or some other minor problems with the mobile network or WiFi connectivity. That’s why we always recommend performing a data factory reset every time you install a new firmware. 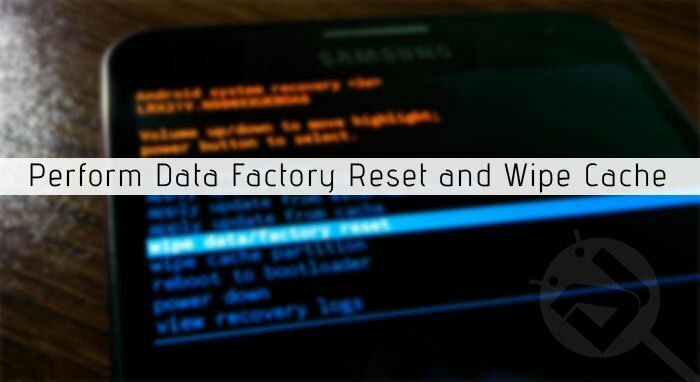 We decided to write detailed steps to wipe data factory reset and clean the device cache on Samsung Galaxy devices to guide people who are new to such things. Turn off your Samsung Galaxy device. In case the device is caught into a bootloop, just remove the back cover and pull out the battery. Insert the battery back to its place after 20 seconds. 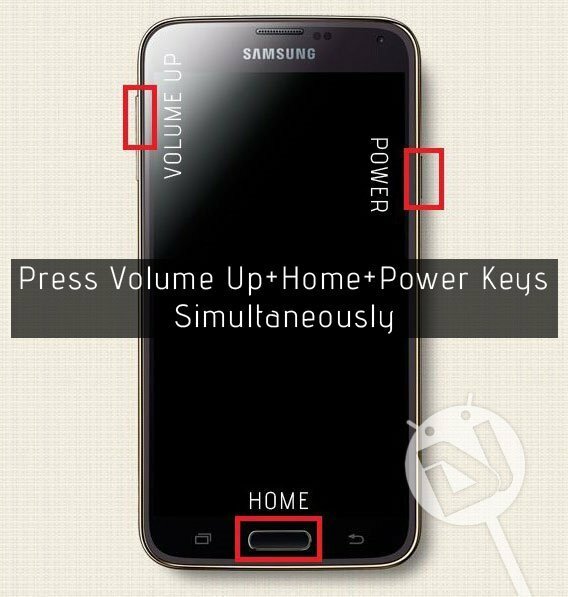 If you own a Galaxy phone or tablet with a non-removable battery and your device is stuck on the Samsung logo, just press and hold the Power button until it turns off. Now press and hold the Volume UP + Home + Power keys simultaneously until the screen turns up. 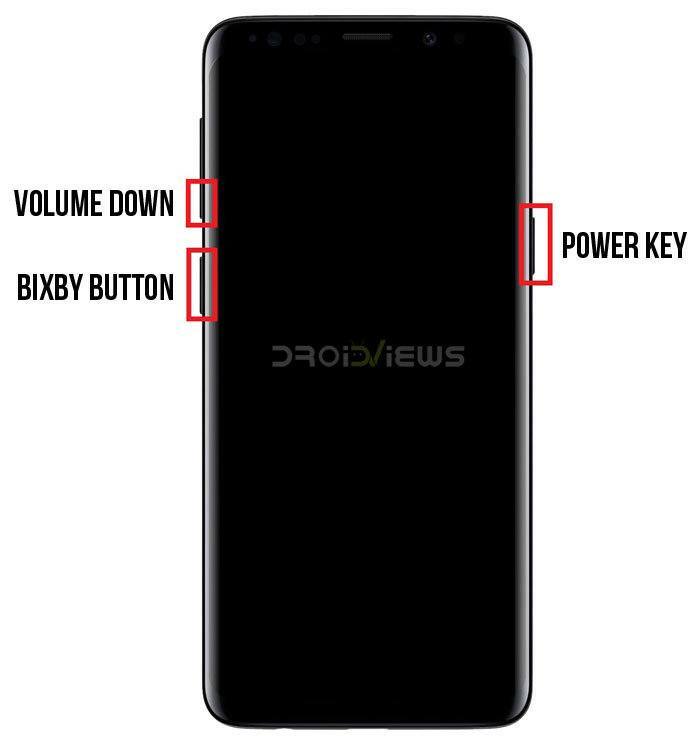 On the newer Samsung Galaxy flagships (like Galaxy S9/S9/Note 7) with no Home or center button, you need to hold the Volume Up + Bixby + Power keys. If you own and Samsung Tablet device that does not have the home (center) button, you can try Volume Up + Power key combo instead. Since the stock recovery does not support touch, you will have to use the physical buttons to navigate the options and select them. You can use the Volume Up and Down keys to navigate and highlight options and press the Power button to select it. Okay, now go to wipe data/factory reset option and select it using the Power key. On the next screen, you’ll be asked to confirm your selection. Select Yes. Wait for a few seconds until the reset is done. If the bootloop has been caused by some misbehaving app, you can try wiping the cache only. Just select wipe cache partition option and confirm your choice. If wiping the cache does not help, you can try the data/factory reset option. Finally, return to the main menu in recovery by selecting +++Go back+++ option and then reboot your device using reboot system now. Having gone through the steps given above, your phone should boot normally. In case you’re having some issues after installing a firmware, it should have gone too. Enjoy! Do not forget to share your experience with us! Thank you so much! My Galaxy Note 3 was stuck booting, and all I had to do was clear my cache, just as you wrote! hey can you help me i’m stuck bro!!? I installed it while I was on roaming, through WiFi connect..
after the update, it got stuck on Samsung logo.. I tried everything after that .. wiping cache.. nothing.. last resort, I tried data/factory reset.. it says MDM doesn’t allow for data factory reset.. I tried downloading and installing the official N920C firmware.. it failed .. then I carefully again looked for UAE specific file ( i’m in India) , it did accept and the firmware injecting of official software passed! but still the Samsung logo stuck and I can’t perform data/factory reset..
at this time, my mind is becoming numb.. anyone help me out if you know anything.. kindly! maybe my bootloader is locked..
it is showing in download mode as follows.. Does the key combo not work for you? What kind of ROM are you using? If you’re using the Stock Samsung firmware, then try to clear the cache with the tutorial above, if that doesn’t help you, try to flash an “Stock Android software”, I would suggest you CynaogenMod. I am in need of some assistance. I have a Samsung Tab A that will only go to the Samsung Screen and not any further. In the top left corner looking at the tablet there is something that says: Set Warranty Bit: Kernel. Upon researching this is a fairly common error with Samsung devices. I am unable to boot into recovery mode to attempt a hard reset as it will not power off. If i hold down the power button it does nothing. The only mode it will boot into is the download mode and research has indicated that I need to flash the stock firmware to the device as outlined above. I believe I went through all the steps as outlined above but it fails every time. What could I possible be doing wrong? Is it possible that there is another problem going on with the device? Help is greatly appreciated. Thanks. Did u flashed the stock firmware through odin? Someone Please Answer Kyle, this is the exact same problem I am having. Volume up + home + power just turns on my phone, taking me back to the error screen. Volume DOWN + home + power does however still take me to the download screen, fortunately. I tried what you said about releasing just the power button when the logo shows up, but there’s no time between the logo and the “Recovery is not Seandroid Enforcing” error showing up which just freezes everything. HEY can you please answer Kyle?? This is the problem here! hello??? The key combo is what we use to get into the recovery mode. Anyway, try this: hold the Volume down+Home+Power keys together for 2-3 seconds. You’ll enter the download mode. Now hold the Volume down+Home+Power keys again. As soon as the screen goes black, swap to Volume up+Home+Power keys for 4-6 seconds until you enter the recovery mode. Can you be a little more clearer? I didn’t get you. Hi sir rakesh, I have galaxy s3 mini (GT-I8190) my problem is when i go to recovery CWM v6.0.2.7 when i “wipe data/factory reset” and press yes the phone will restart immediately and nothing happens it didn’t reformat my phone either like nothing happens. I stuck at boot loop with “galaxy s3 mini logo” and keep restarting it self, while turning on the LED light(menu and back) below blinks 3 times i don’t know what does it means. 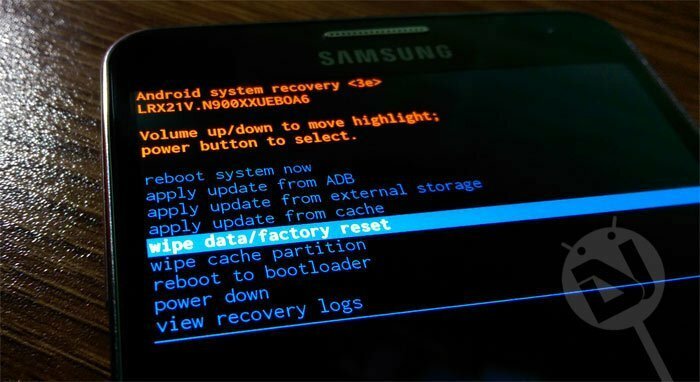 I tried installing new Recovery mode with TWRP via ODIN and it says PASS and restarts my phone and i take off the battery and goes to recovery mode and it appears that it doesn’t take me to TWRP, it is like that the TWRP that i flashed via ODIN didn’t install to my phone and CWM is still running in my recovery, i feel like CWM won’t let me to factory/reset my phone so i changed to TWRP but it won’t let me. hello Voussoir did you find any solution i have also same problem . Did it still boot into cwm ? tell me one more thing how you install CWM recovery by odin or any other method ? before you brick your mobile odin mode is working ? Odin is working before it bricks and it still works now, nothing boots to homescreen every roms i installed through odin. It is like all changes i do, it backs to normal. Follow my forum issue all explanation i explained there. is you get success booting any custom rom ? if yes, which one ? I have a samsung galaxy note 2. I followed your instructions for re-installing the firmware using odin and since my bootloop issue wasnt solved i went ahead and did wipe data / factory reset and wipe cache partition but unfortunately my problem still persists. Please guide me as to how could this bootloop issue be resolved. 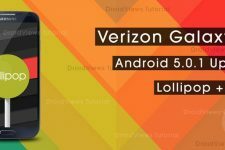 I have a Verizon rooted sch i545 vruemk2 and want to update to Lollipop. Can I use the pre rooted firmware here without using any additional updates before that? Can i use cwm that I have installed? Also do I have to update the modem from kk to lollipop first or is that done automatically during update? Yes, you can use the rooted ROM but try installing it with the FlashFire app instead. I screwed something up somehow..I joined chainfire for fireflash but Flashfire is installed but will not open, so I tried something else. I tried to install twrp over cwm (which I had) using rom manager but now can not boot into recovery. If I try, I get stuck on ODIN downloading page. The only thing I can do is push volume up and power to boot back into phone. This helped me get my S4 back up and working after it would intermittently reboot after rooting. Not sure yet what caused the rebooting (always after coming out of screen lock or in a phone call) but since you made it so easy to restore I may try again. What if the Recovery Screen never comes up? All I keep getting to the black Samsung Galaxy “splash” screen. I think this is called Bootloop. I can get the Download/Odin mode screen to come up though. Can I break this cycle by using Odin (v3.09) in some way like (re)installing the firmware? I think you are making some little mistake while pressing the key combo. As for restoring the device via download mode, you can do that. I too am in the same situation. I’ve tried both Power+VolUp (Nothing..just recycles) and Power+VolDn (Download/Odin). I have Samsung Galaxy Note 10.1 G-N8013ZW. I’ve tried all combo’s with Power/VolUp….either the Splash screen comes up and recycles or the device powers down. this fixed my broken wifi on my s4… unfortunately i upgraded to a note 4 because of the problem.. thank you so much guys! Glad to know! However, you didn’t mention which guide were you following? Great! Lollipop is so good! Again, nidely put, I am running through all your posts to see if there is anything I may of missed, but I do all this as you say, and I still find things on my system after a reinstall. I may even do a video to show people, so they can see what I am doing. Hi Thomas, what exactly are you trying to do? Show me the Odin screenshot.